To follow up the 2016 North American PsyFestival Guide, in which we map out all psychedelic trance focused festivals in Canada, United States, & Central American Countries, Fractaltribe is getting in touch with many of these festivals. We are highlighting each festivals aspects which gives the readers better insight into each events' unique histories, cultures, intentions, and styles. From our vantage, co:CREATion is a grassroots organized festival which values community and looks to build it from the ground up. Create Culture & 1Stomp! have not taken any short cuts in booking acts. The entire lineup is a very diverse platter of psychedelic electronic music of great quality. What is impressive is that they are able to offer this level of lineup for such an affordable price. I got to pick the brains of organizers, Chance, Chad & Phil, for some of the finer aspects of what is going into this festival. FT: How did your festival come about, where did the idea come from? CC: Create Culture has been doing our thing in Austin for over two years and the community growing up around it has been astounding to watch, things are taking shape in ways we never imagined. We have been members of and supporters of the central TX psy scene for a long time and 1stomp has been providing a container for those special experiences, so joining forces just seem like the natural progression. Really we look for any excuse to set up the sound system, invite some amazing music and spend time with our people and have a paint jam so it wasn't hard to convince everyone. FT: How many editions have there been and when did it start? CC: This is Create Cultures first festival, and 1STOMP’s 16th festival. Create Culture has been holding it down in downtown Austin for over two years doing every first Wednesday of each month. We have collaborated on other projects throughout this time, but our monthly event is our main focus. FT: Where did the name come from? CC: The name comes from a famous quote from Terrance McKenna “We have to create culture, don't watch TV, don't read magazines, don't even listen to NPR. Create your own roadshow…” we felt very empowered by how well this message fit what we were doing. FT: What values are you trying to promote as a festival? CC: Creation is one of our core values, through the act of creating something never made before we are enacting our power as humans to manipulate reality. When we take on the artist ethos, and apply to to life, a lot of amazing things can happen. When we all work at creating something new and unique together, the boundaries between us dissolve and we can accomplish anything. We are all artists, some just choose paint or music to express it; to us its very important to let people know that they can step into their own power at any point. FT: What’s your biggest challenge within the organizational process for this festival? CC: Probably dealing with finding the perfect venue that fits all our requirements, as well as the mountains of emails and the inevitable cat herding of countless artists. CC: This year's festival is about the power of co:creation. Working together symbiotically to achieve each other's goals and dreams. Through helping each other we are able to lift and guide. 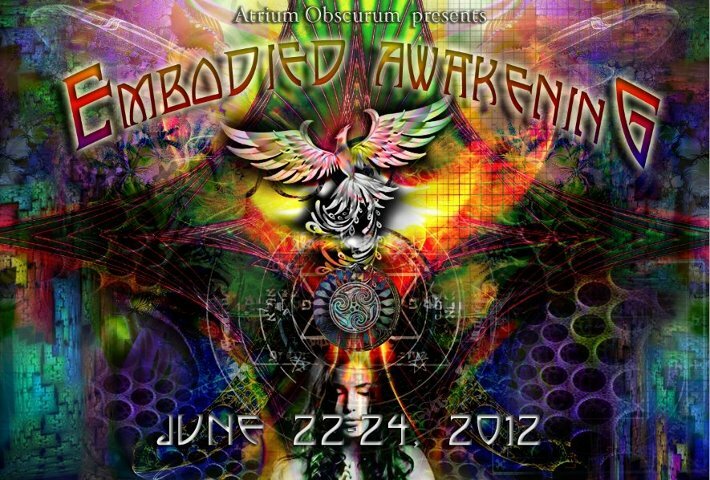 FT: What do you mean when you say co:CREATion is a 4 day "Psybrid" festival? CC: Psybrid is simply a hybrid of psychedelic electronic music in an attempt to explore all colors of the spectrum throughout the weekend. While it could encompass any psychedelic for of music, we typically focus on what one may call "EDM" or "electronica". Everything from dub to trance, ambient to fast and in your face. The goal is to transcend genre by the end of the weekend (if not before). FT: How do you continually keep your festival fresh and relevant? CC: We make a point to scower the globe for the most ground breaking music producers as well as visual artists. We network with some of the best crews all over the place to keep things fresh, as well as making it our mission to introduce new music to our section of the world. We host traveling artists and we genuinely care to see everyone succeed. FT: Tell us about a person behind the scenes on your team that doesn’t get much recognition. CC: To be honest, that is all of us. Everybody puts crazy amounts of effort into this without any expectation of fame or glory. We do it simply to make a magical weekend with good friends while creating art and listening to quality music. FT: Those laser etched wooden tickets are fantastic and innovative. What are some of the other attention to details that attendees may notice? CC: Our scheduling is fine tuned for maximum flow and is a single stage experience so that we are all locked into the same frequencies. The festival is community driven and is a result of everybody contributing their passion to make it possible. Musically, we are featuring many up and coming artists that are pushing the envelopes and dissolving boundaries of singular musical genres. FT: What are the most important elements of a psytrance festival? CC: Quality sound is very important to us. We are proud to have our good friend Patrick Ortiz on board, he is the main audiophile in charge and the master wizard behind the world class Alethia Sound system. Also we like to emphasize the visual arts and host a wide array of painters, digital projection arts as well as an art gallery for people to get lost in. most importantly to use. A psytrance festival needs to feel comfortable, you need to feel like you can dance like a wet noodle at 5 am in a pink moo moo if that’s what your into; and I feel like we capture that vibe at our events. FT: How has the psytrance culture affected you? CC: Psytrance has forever altered the way I view reality, music and human interaction. It has revealed intricate secrets to the universe as well as ripped away all real knowledge of anything. I am grateful for it, and it will forever be playing in the sound of a generator, road noise outside the car and in the silent whispers of the winds. It describes the intricate web that weaves us between space and time and everyone who has ever danced or who will ever dance under the full moon.